Exceptional faux bamboo side table. Brass frame, stretchered legs with pineapple finial. 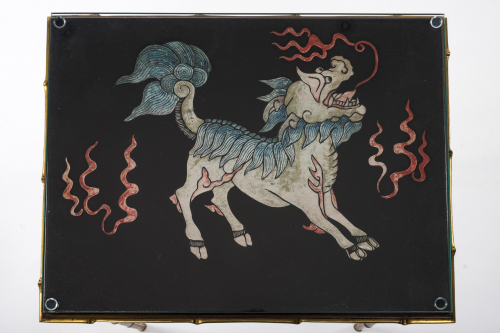 Black lacquer with mythical character (half horse / half dragon). Under glass. Very high quality and very unusual. Probably Maison Bagues or Jansen.